Over the last 12 months, many have questioned how prepared the Civil Service is to support the Government in planning, negotiating, legislating for and implementing the UK's exit from the EU – and then establish a new deep and special partnership with our nearest neighbours. Does the Civil Service have the skills, the know-how and, indeed, the sheer capacity to do this effectively? I understand those concerns, of course. As I have said before, this is probably the biggest and most complex challenge the Civil Service has faced in our peacetime history. However, I believe we are rising well to that challenge; and I thought it would be useful to set out in one place what we are doing, one year on from getting started in earnest. Our first task last July was to put in place the new Department for Exiting the European Union (DExEU). Within days of its establishment - from a standing start - DExEU was delivering policy analysis and advice of the highest quality to the new ministerial team. Since those early days the department has grown steadily, from around 50 at its inception (plus the UKREP team in Brussels), to over 450 today. 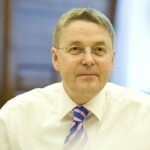 Over the coming months we plan to add more policy advisers and programme managers as the department moves its focus from policy analysis to supporting the Brexit negotiation itself; and just as important, continues to coordinate and drive several hundred Brexit-related workstreams across Whitehall, identifying common themes and prioritising the decisions that need to be taken across government. Throughout its short existence, DExEU has made a point of consulting with external stakeholders, to ensure that the widest range of opinion and interests inform the exit negotiations. We have been clear from the outset that work on Brexit is not just a task for DExEU but for all government departments: both planning and preparing for the negotiation and preparing for life after EU exit, ensuring we have the right legal and administrative systems in place. This is a classic cross-departmental project, but of unprecedented scope and importance. 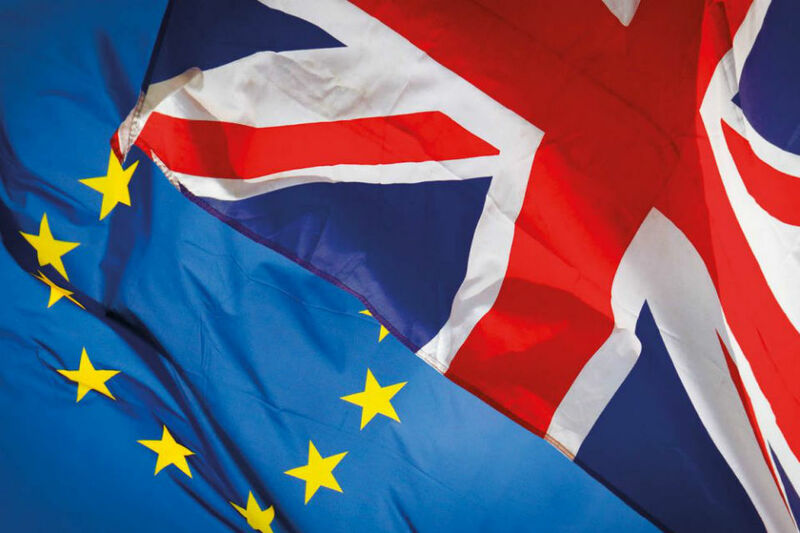 Last July the Cabinet Office started an immediate exercise - continuously updated since - to help all government departments identify how Brexit was likely to affect them and what their likely additional resource needs and skills gaps were. Across the Civil Service the key corporate professions and functions - including Policy, Project Delivery, HR, Government Digital Service, and Commercial - came together at pace to identify increased demand for capability in these areas. By coordinating activity, and with specific plans for each function and profession, they have been able to work with the departments most affected by EU exit to deploy the resources required. This process is being supported by an integrated fast-track recruitment and vetting process for new staff working on EU exit. To take just a few examples: over the last year the Department for Environment, Food and Rural Affairs, 80% of whose work is bound up with EU regulation, has brought in over 400 extra staff as part of a comprehensive programme focused on EU exit. This covers the department’s entire range of work, including the future of farming, fisheries, environmental regulation, and animal and plant health. The Government Legal Department has formed an expert legal team for the new department: DExEU Legal Advisers, more than 40-strong, building on the previous European Law Group and Foreign and Commonwealth Office (FCO) legal advisers. Working closely with the Bill team in DExEU, Office of Parliamentary Counsel and policy officials across Whitehall, they have played a key role in shaping the historic EU (Withdrawal) Bill, which will be introduced to Parliament later this week. As the policy lead for more than 25 economic sectors, the Department for Business, Energy and Industrial Strategy (BEIS) has one of the biggest and most complex EU exit portfolios, responsible for work ranging from energy and climate change to science, competition and innovation. To address this, BEIS is recruiting up to 500 new staff this financial year, as well as filling newly created EU exit roles internally. We have also established a second new department, the Department for International Trade (DIT), to ensure that as the UK moves towards EU exit we have the capability and expertise to pursue our own independent trade policy and begin to negotiate new trade deals outside the EU. Building on the former UKTI, and subsuming UKEF, our export credit agency, the new department has grown to just under 3,200 staff, dedicated to ensuring that we are maximising the economic and growth opportunities available to the UK. At the same time we are building up the UK’s trade negotiation capabilities through the appointment of an experienced Chief Negotiation Adviser and the development of the Diplomatic Academy Trade faculty, a joint venture between DIT and the FCO. The FCO has worked closely with DExEU since the referendum to support a positive outcome from the negotiation, ensuring that we use our global network to maximum effect, and incorporating a reinvigorated trade policy into our broader foreign policy work. The FCO has also reinforced embassies across Europe, creating some 50 new positions. Overall, the Treasury has so far agreed over £400 million in extra resources to support this increased resourcing and is currently reviewing the need for further additional funding. Ministers have been clear throughout that important Brexit work will not be held back by a lack of financial resources. Across government as a whole, we have so far created over 2,000 new roles specifically to work on Brexit-related issues. We expect to create a similar number of new roles over the coming year - including specialists in finance, accounting, law, digital, project management and trade negotiation - as the EU negotiations progress, the necessary Brexit legislation moves through Parliament, and we design and implement new systems and policies. Despite these extra resources, the Civil Service as a whole will continue to reduce in size as the bigger departments like the Department for Work and Pensions and HM Revenue and Customs continue to digitalise and improve their customer service. The Civil Service is already at its smallest - and I believe most efficient - since the Second World War. But, within the declining overall total, the resources devoted to the highest political priority of the Government - ensuring a successful Brexit - will be protected. Making sure that the Civil Service is fully equipped to meet the challenge of Brexit is not just about headcount and sums of money invested. To pull this off, in the limited time available, we will continue to need to apply best-in-class ways of working, meticulous scenario planning, detailed project management and, above all, deep cross-departmental collaboration. The sort of collaboration that saw numerous departments - DExEU, Home Office, FCO, Health, DWP, and others - work as one on the recent announcement of the UK proposal for safeguarding the rights of EU citizens and their families after we leave the EU. 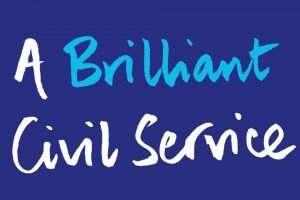 As the last few years have shown, the tougher the challenge and the more urgent the need, the more resilient our Civil Service is. Given our track record, our focus, and our careful planning, I remain fully confident that the Civil Service has the skills, the experience and the leadership to help ministers secure the best possible Brexit deal for our country over the coming years. Will these new posts be for longer than the normal two year secondments so that they see through , deliver on and work with the consequences of their work as happens in the commercial world? As an animal feed manufacturer, I was deeply involved in our transition from world free trade in food products to the highly protectionist "Fortress Europe" Common Agricultural Policy on 1 January 1973. I served on a Ministry of Agiculture sub committee, representing the interests of country feed millers. The Ministry provided us with first class guidance, so that we were very well prepared. They started over a year beforehand as there was much to learn. As the transition in the opposite direction has to be complete by April 1 2019, that does not leave much time for similar preparation. I get a distinct impression that present planning is insufficiently advanced to give adequate, detailed , timely guidance to all classes of industry, starting in the first quarter of 2018. I do hope I am wrong. The Bill is not answering the question many EEA national civil servants have, how this will change our status in British Civil Service, is this mean we will loose our jobs? Is this mean that after 11 years of service I will have to look for other employment? Will we get any pay out's to do so? What's next for Civil Servants with EEA status? One only has to read the "European Union (Withdrawal) Bill" to see that a considerable amount of powerful thought and detailed work by Civil Servants has already taken place in a short time. Those in the Press who are talking the Civil Service down will eventually be proved wrong. The ultimate aim is to reduce the size of the Civil Service by 30% by 2020, will these extra posts be ring fenced outside of this figure? However, I am aware that we would not be able to manage to effectively exit, given the complexity of the rules that have morphed during the period we have been in the EU without dedicated teams within the various Departments, as BAU will still continue. I do not believe that the general public (nor I for that matter) really have a full understanding of how the EU rules have been embedded within our daily lives and the impact this will mean. Impacts such as Duty Free allowances and the use of the EHIC maybe already be understood, ditto Farmers and the Cap, but I am certain that there maybe a lot of unknowns, known unknowns etc.